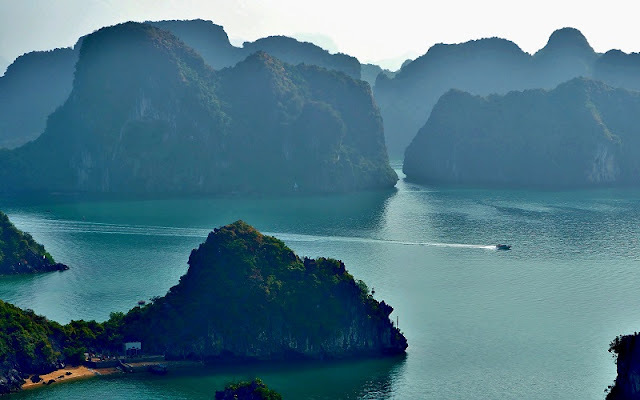 Bai Tu Long Bay is an important part of Halong Bay World Heritage site. Meanwhile Halong bay is heavily exploited with huge numbers of tourists, Bai Tu Long Bay cruises is an off-the-beaten track with natural seascapes of pristine beaches, desserted limestone pillars & remote floating fisherman villages. Cruising to untouched Bai Tu Long bay is a new tourist trend and promises a vacation of many unique experiences, far from the heavily touristic areas. If you have chance to visit Ha Long Bay - Bai Tu Long Bay, you should try at least once time to row the kayaking by your own hand through so many magical limestone. 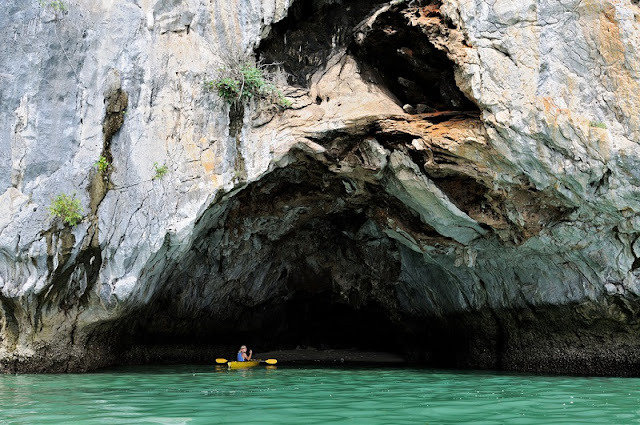 For many visitors, the most interesting thing is they can row the kayak washed into many small caves to explore countless stalactites that the Creator endowed with strange shapes. Especially when the kayak go into the lower cave, you will have to stick your hand inside and pushed the boat pass into the cave, some time when the water rises up, visitors will have to lie down when pressed into the kayak to go through the cave. Those actions may make you feel a little scare but to feel all the majestic beauty of the bay and explore all stunning cliffs, you shouldn't miss this opportunity. You can paddle alone or accompanied by friends to discover Ha Long Bay - Bai Tu Long Bay in your own way. Kayaking may be not so difficult as you may think, you discover by yourself the bay in new angle and sublime beauty of the bay and have a senses of adventure on the water. This experience is for both first time paddlers to experienced riders. You will see some guides before kayaking, guide you and paddle with you. 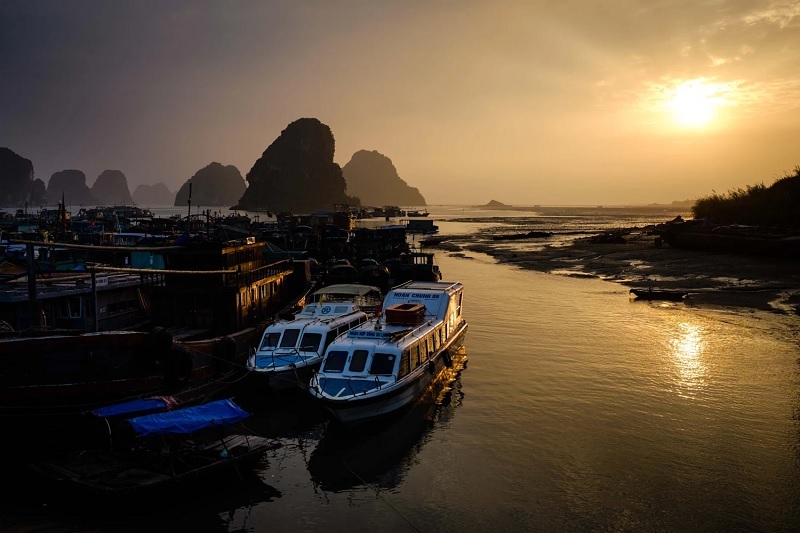 Kayaking in Bai Tu Long Bay, Vietnam you’ll not only witness extraordinary scenery, but gain an intimate insight into the country’s coastal communities – meeting and dealing with local fishermen who will be only too happy to supply you with your evening meal. Thien Canh Son and Cong Do areas are allowed to kayak among limestone islands, Bai Tu Long Bay is peppered with roughly 600 islands – many of which have enticing sea caves, tunnels and mangroves, floating villages. This was one of the most memorable experiences you've had on this trip. kayaked through the bays where families have lived on fishing boats for over 100 years. Children are born on the boats and often never touch foot on the mainland. They barter fish for things they need and often don’t need Đông to buy “stuff”. They work as communities to help each other out so that they never go hungry. And you know what we saw passing these boats? Happy families...smiling kids, parents and grandparents who waved at us as we went by.